This is how our motorhome looked when we bought it 5 years ago. It was used then. My first big motorhome trip was in 1980. I rented a 28′ Beaver class C motorhome and drove it from Southern California to British Columbia. 5,000 miles in total. We rented a number of additional motorhomes over the years and then bought our first one about 9 years ago. Then we moved up to our current rig in Nov 2009. My motorhome trips have always been a combination of business and pleasure. On our first trip to British Columbia I visited clients all the way up and all the way back. Our big summer trip last year we also visited clients. 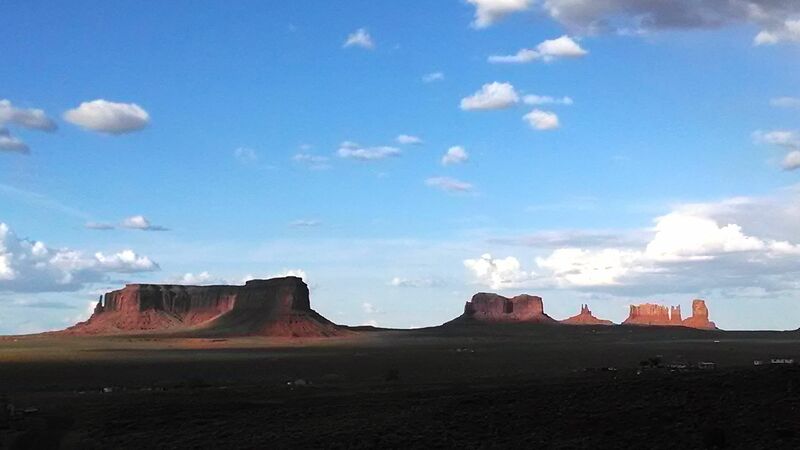 Motorhomes make great mobile work places and also are lots of fun to see the sights in this great, big country of ours. Lots of people these days buy an RV and use it as their sole place to live. I have always used RVing as work/pleasure tool and have never been much motivated to get rid of our house without wheels. I would say to do that successfully you need to be able to be happy in a small space. Very small. 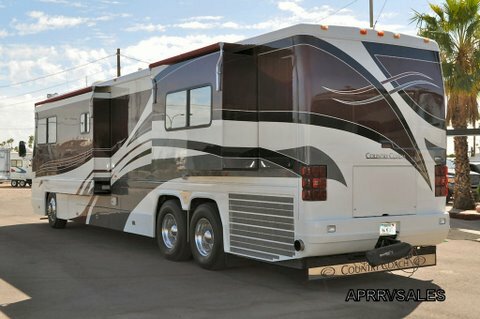 The biggest RV is smaller than most very small apartments. I think it is very useful to be mechanically capable. Lots of things break on houses on wheels and it helps to be able to fix some of them. You need money. Fuel, big tires, repairs, insurance, living on the road is not as cheap as many think. But it is a choice that many have taken successfully. It does give you a way to be in beauty spots for extended periods of time. But it is not the “Sunset” life. What I mean by that is RV life can tend to be a lot of parking lots with close by neighbors. The Sunset life is the life of style from Sunset magazine. I would strongly suggest that anyone thinking of selling all and moving into an RV full time do it in baby steps. Rent first or do extended vacations first. See if you like the life.